*En anglais seulement. Attend a memorable new performance at the Segal Centre for Performing Arts based on Holocaust survivor testimony. Through reenactment and song, the production will bring to life the stories of survivors who rebuilt their lives in Montreal after the Holocaust. Only a handful of Holocaust survivors remain. Their stories must be heard. Dive into history like never before. This new immersive theatre event plunges guests into the incredible and touching true stories of Montreal Holocaust survivors, by transforming various Segal spaces into living, breathing memories. Explore a collection of gripping testimonies from survivors, brought to life by talented local performers through reenactment and song. 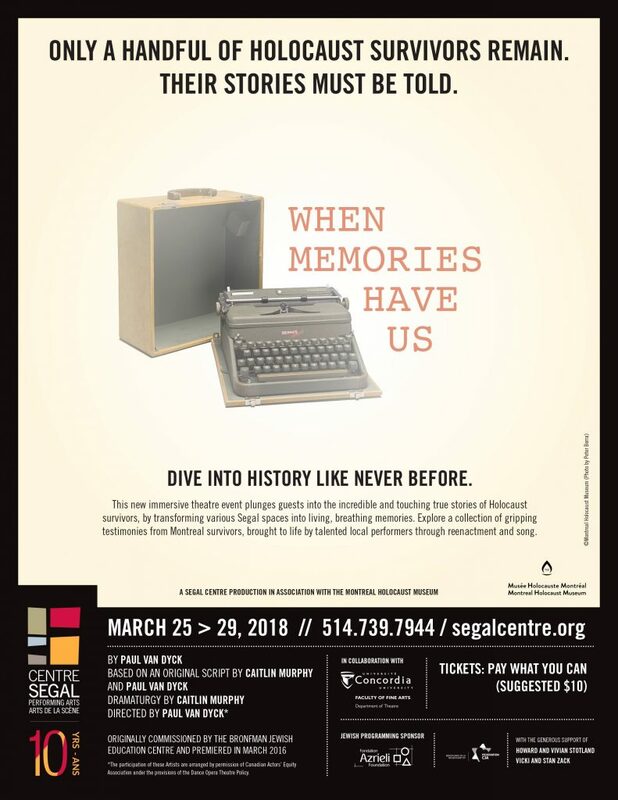 Ted Bolgar’s story will be one of the survivor testimonies retold at the Segal Centre’s theatre event « When Memories Have Us ». In this testimony clip, hear him describe life after liberation, and how he returned home after surviving multiple concentration camps. 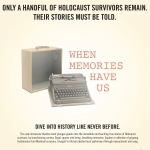 Tickets for « When Memories Have Us » can be reserved online through the Segal Centre’s website.